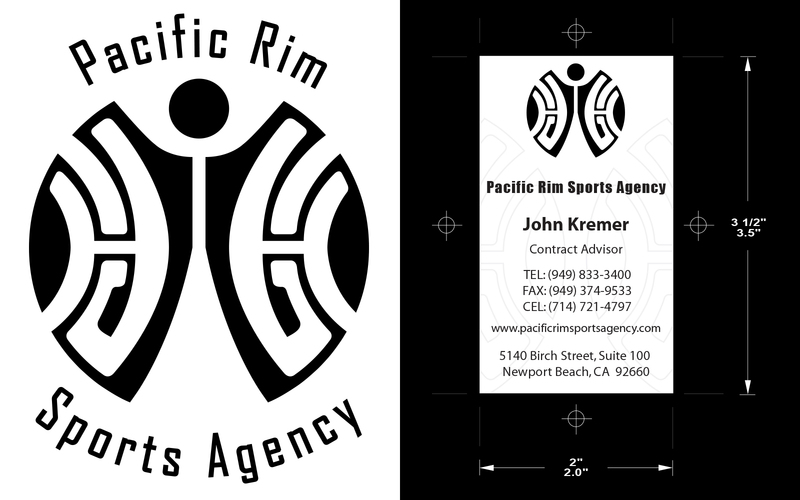 Pacific Rim Sports Agency is an up and coming sports agency with Representation and Contract Advising for Professional Atheles as which atheletes from a variety of backgrounds, including Polynesians. This logo is based from the artwork of the Marquesas that has gained popularity in Tahiti and Hawai'i. The figure in the center ties the patterns back with the athelete/warrior of the Pacific, it is split in the center to emphasis the recognition of both male and female athletes.